Not everything we create in our art journals turns out to be a masterpiece but with the help of Pam Carriker you can be proud of every page! In Art Journal Prompts you will discover how to recycle and reinvent old, less than spectacular creations into mixed-media masterpieces! Begin the workshop by making a layered background and adding altered imagery. Then learn about composition and how to add in shadows and highlights, fix mistakes, and tips for art journaling. Learn all this and more from Pam as she guides you through these techniques while providing art journaling prompts to jumpstart your creating. Also available as a download and coming soon a PDF Companion will be available with stepped out pictures and written instruction! Why waste your time waiting for paint to dry? 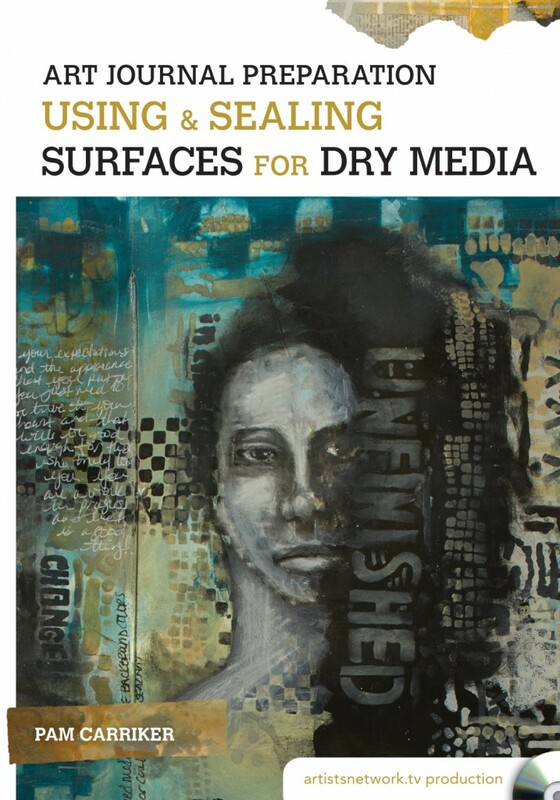 Work alongside mixed-media artist Pam Carriker as she teaches Kristy Conlin fun and easy techniques for using dry media in your art journals. Learn how to create with black and white charcoal, Conte crayons, and colorful PanPastels and move on to the next page without having to wait for journal page to dry. Plus, Pam will then teach you her best tips and tricks for sealing the pages so your work won’t smudge. 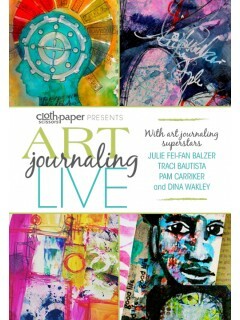 Learn new art journaling techniques with this recording of the live event Art Journaling LIVE 2013! Join art journaling superstars Julie Fei-Fan Balzer, Pam Carriker, Traci Bautista, and Dina Wakley for the ultimate mixed-media experience. 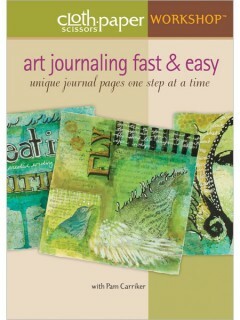 Want to keep an art journal but don’t have time for another project in your already busy schedule? Pam Carriker, mixed-media artist and author of Art at the Speed of Life, shows you fast, innovative ways to use new media and tools made from your own work to create one-of-a-kind journal pages that showcase your signature style. By creating the background first and then using Pam’s easy “10-Minute Journal” method, you’ll never stare at a blank page again! After discussing her favorite supplies, Pam dives right into designing multiple backgrounds at once, using a large sheet of watercolor paper. 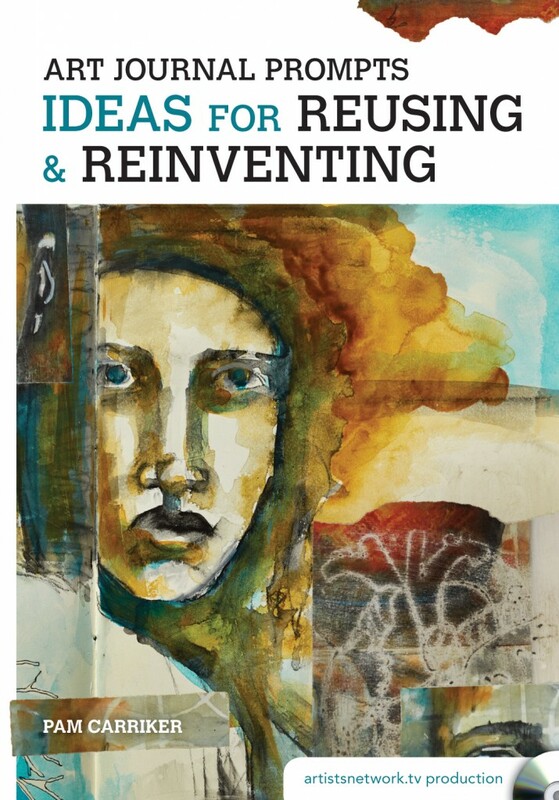 Next, discover ways to take imagery from your previously created artwork and incorporate it into your current journal pages; tools and techniques covered include: image transfer, stencils, Thermofax® screen printing, and carved stamps. Then, move to the next portion of journaling: the art of creative writing, and learn Pam’s approach to the art of lettering. Finally, discover Pam’s strategy for adding a final layer to tie everything together and create a visually appealing impact. 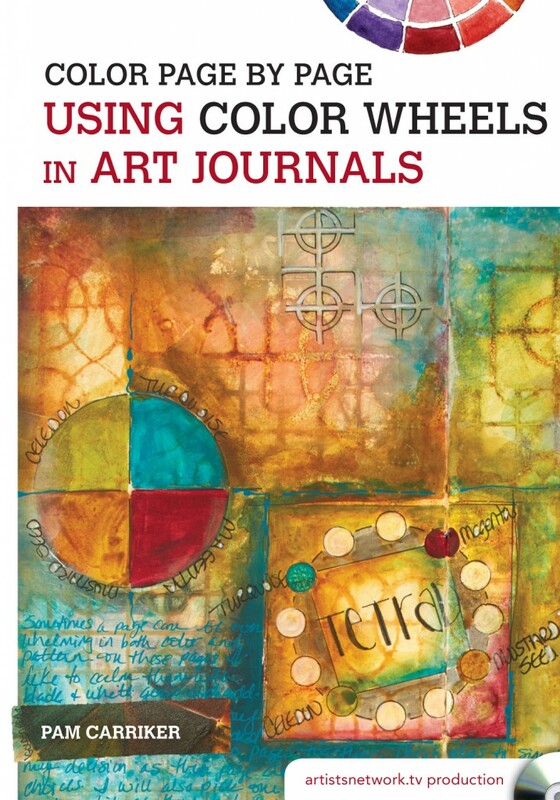 Pam’s methods—and her introduction to a variety of tools and new products—are sure to inspire you whether you’re a longtime art journaler or just wanting to get started art journaling.